Since my friends and I have busy work and weekend schedules, we always end up cutting our hangout times short and never get to spend an optimal amount of time together whenever I come back to visit the Bay Area. Thus, we decided that it would be an AMAZING idea to spend extra time together in a different city (did somebody say SLEEPOVER?!) 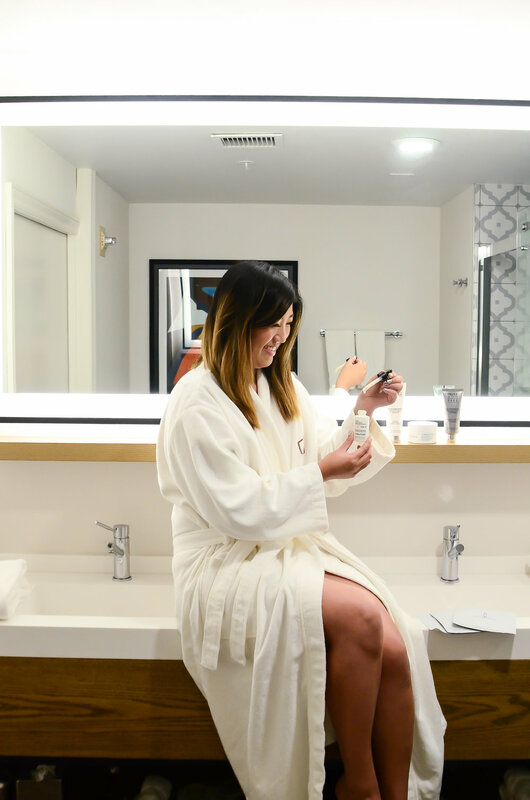 - and in this case, there was no other place to go to than the newly renovated Hotel Spero in San Francisco! 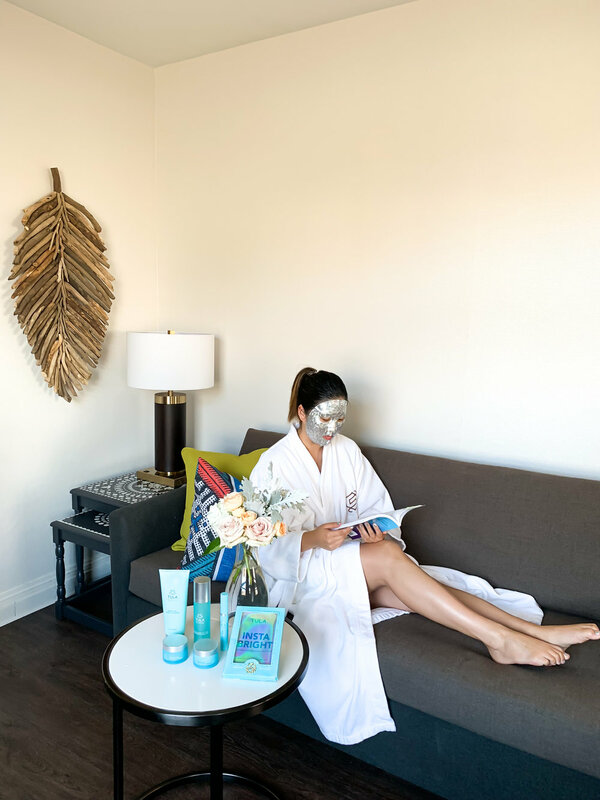 One step into the hotel lobby of Hotel Spero and we were already in shock - the aesthetics of this San Francisco boutique hotel is freakin’ Instagram goals! Renovated in 2018, our eyes were spoiled with the miraculous view of a modern interior design of organized bookshelves and adorable succulents. The check-in process was taken care flawlessly by the staff within a matter of minutes and soon enough, Wendy, Richie, and I found ourselves welcomed by our spacious suite. 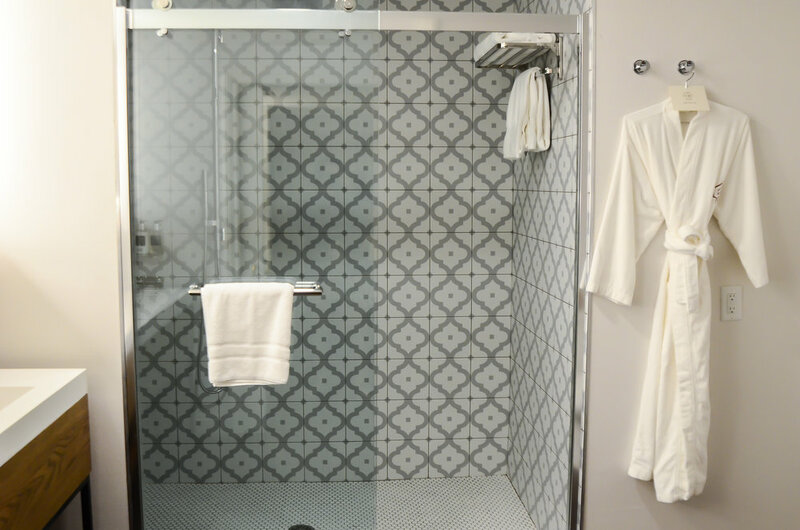 There are multiple reasons why I loved staying at Hotel Spero, which I’ll list below for convenience sake. Spacious hotel suite/room - We were able to fit three people comfortably with a TON of walking space available. With a majority of hotels that I stay at, I rarely have space to walk around so this was a plus! Comfortable & clean King sized bed - Need I say more? Modern day decor - You have to see it for yourself, but I was absolutely obsessed with the succulent wall decor and “Beauty In The Beast” succulent glass jar. Minimalistic and modern bathroom design - Another reason to take Instagram photos ;) Additionally, there was SO much counterspace to place your toletries so you don’t even have to think twice about a “cluttered” bathroom when traveling! Convenient parking location - Although the hotel offers valet parking, I love how there is a more affordable parking garage (offers overnight parking) just literally across the street from the hotel! PET-FRIENDLY - Let’s give a hip-hip hooray to all the crazy dog mommas out there who are just like me! Quality and aesthetic brunch options served at Jasper’s Kitchen - Jasper’s Kitchen carries a variety of delicious brunch, lunch, and dinner options, and this restaurant is located conveniently on the first floor of Hotel Spero! My group and I ordered up a storm for brunch just so we can show you guys all of the amazing entrees that they have to offer (see the full table spread in the video)! 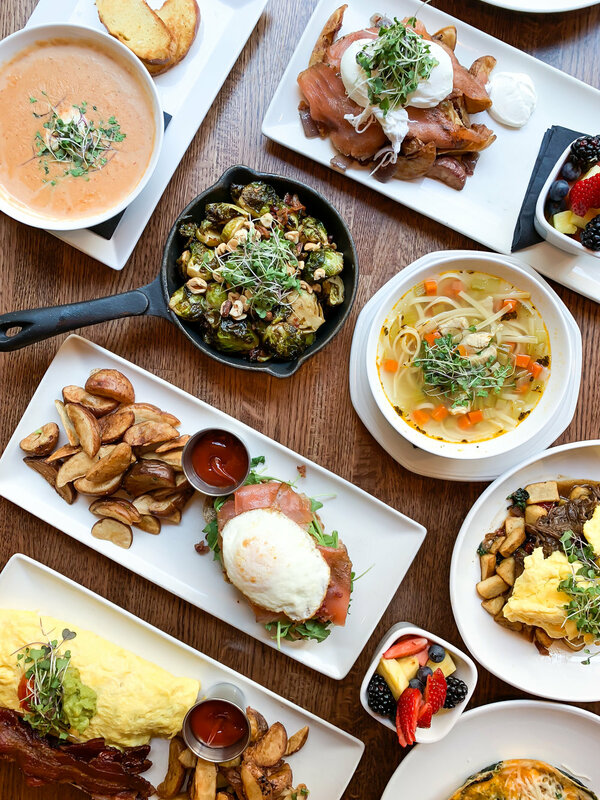 My personal favorites include the Hazelnut Bacon Brussel Sprouts and the Short Rib Hash, while Wendy and Richie’s favorites include the Chicken Noodle Soup and Chocolate Chip Pancakes. See the full brunch menu here. Lastly, I just wanted to give a warm THANK YOU to the Hotel Spero staff for accommodating our stay! Honestly, this was one of my favorite San Francisco hotels that I’ve stayed in for all of the aforementioned reasons listed above. 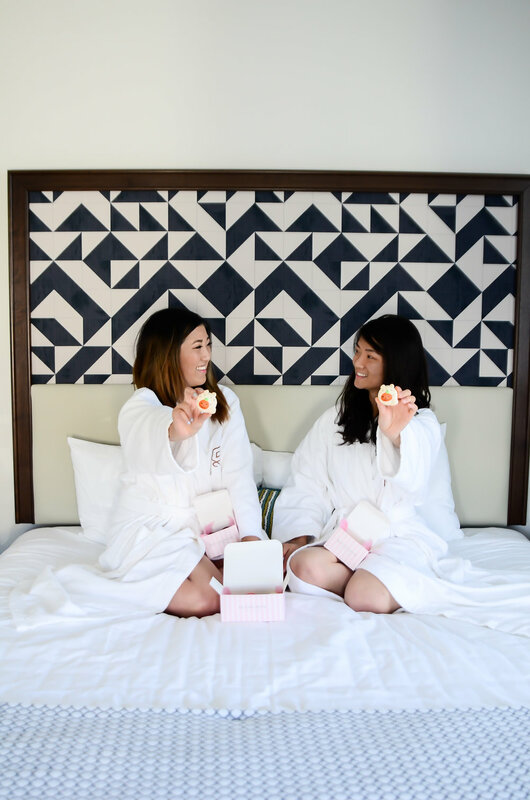 From achieving Instagram #interiorgoals to the spacious design of their hotel rooms, I was over-the-top satisfied with my experience and would definitely come back! 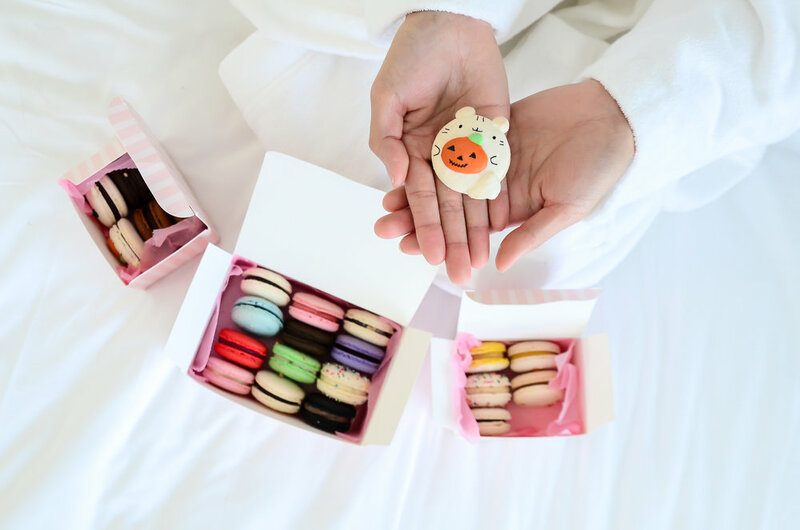 Hope y’all had a wonderful Thanksgiving week and if you are considering a trip to San Francisco, Hotel Spero tops my list as one of my top recommendations for hotels to stay at!